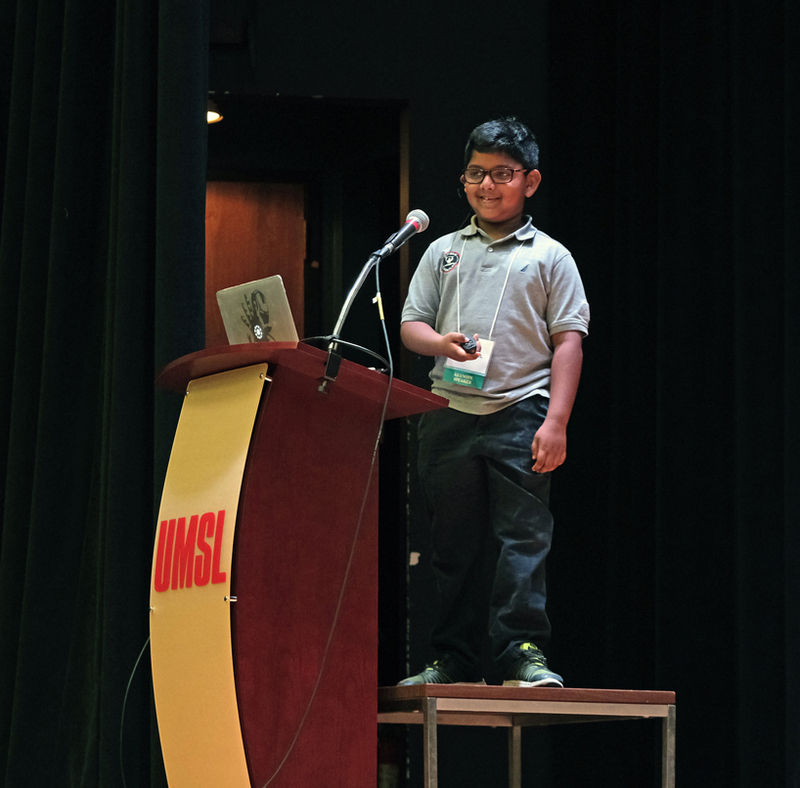 On a frigid Friday morning, Ittai Paul entered a crowded auditorium at the University of Missouri–St. Louis bearing a wide, childlike grin. His eagerness and passion beamed as he began his presentation focused on creating a more cyber-secure future. But about halfway through his talk at STLCyberCon 2018, he paused to pull over a bench from backstage at the J.C. Penney Auditorium. The platform wasn’t for sitting, though. The 6-year-old needed some elevation to see over the lectern from which he would deliver the remainder of his keynote address. Ittai Paul focused his portion of Friday’s keynote address on effective cybersecurity teaching methods. The youthful speaker, who is the son of cybersecurity strategist and author Mano Paul, shared how he learned about emerging technologies and offered insights on effectively passing technical skills to other children. 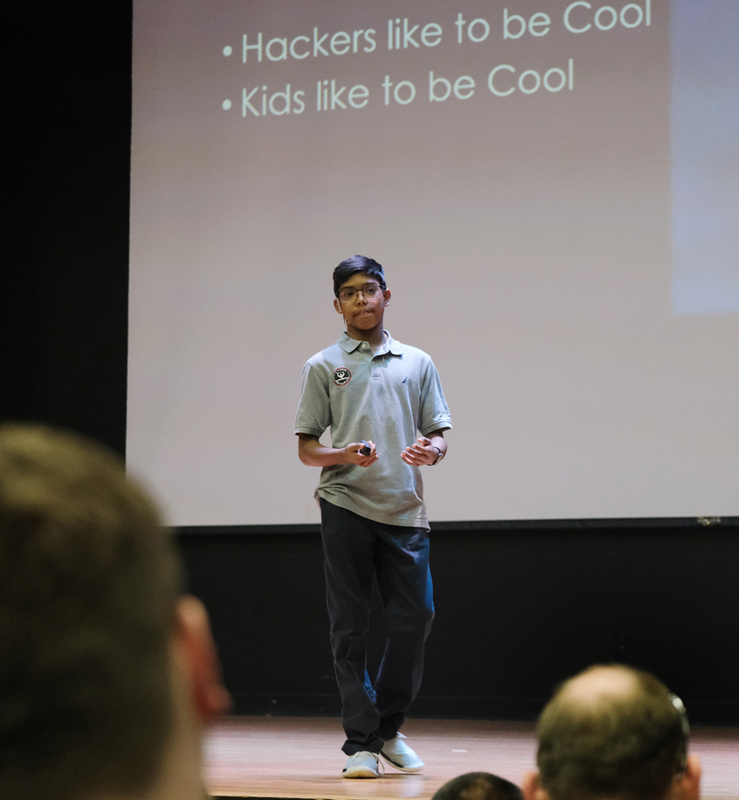 During Friday’s presentation, Ittai shared the stage with his 12-year-old brother, Reuben, who has spoken at 28 other cybersecurity conferences across 13 countries. The brothers headlined UMSL’s annual STLCyberCon, which also included presentations from academic leaders and executives at Ameren, Mastercard, WageWorks, Columbia Insurance Group and Capnion. 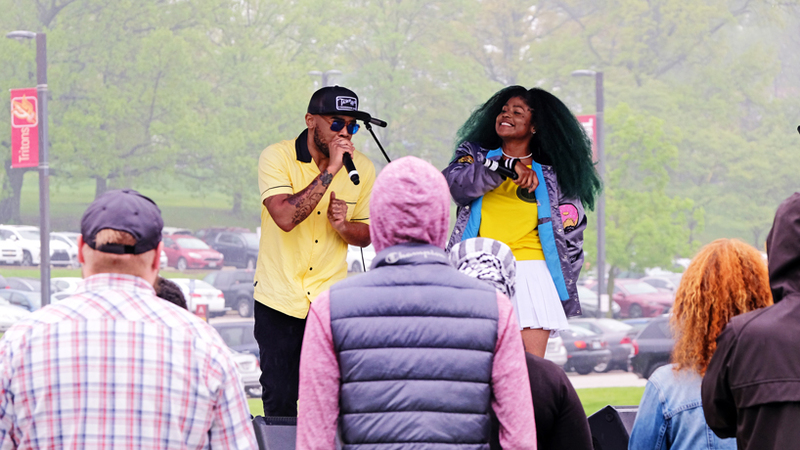 Nearly 700 high school and college students, researchers and practitioners registered for the one-day event, which was free and open to the public. In addition to a series of speakers, the day also included a career expo and capture the flag competition geared toward area students and professionals considering cybersecurity. The Paul brothers began STLCyberCon 2018 by not only defining why children make good hackers but also demonstrating their individual abilities. 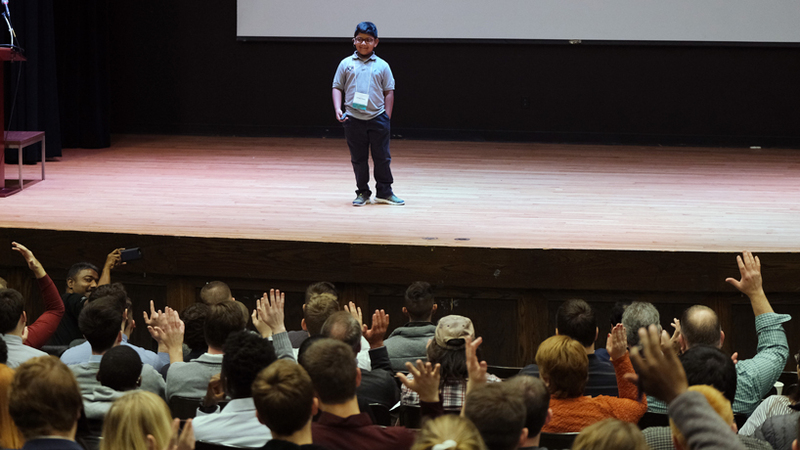 Reuben Paul, 12, advised STLCyberCon 2018 attendees to use their cybersecurity skills “for the good of humanity.” He demonstrated how children are susceptible to hacks by cloning Snapchat’s website from the J.C. Penney Auditorium stage. Reuben made international headlines in 2017 when he hacked into an internet-connected toy bear during a presentation at the International One Conference in The Hague, Netherlands. He demonstrated another live hack Friday as he cloned Snapchat’s website and set up a credential harvester, which tricks website users into providing login information, within a matter of minutes. While he flew through the steps of a social engineering scheme with ease, he reiterated the importance of ethical hacking. “The most important things to teach your kids are ethics and discipline,” he said. “Ethics are about right and wrong, and good discipline is needed for the right reasons. We do not learn cybersecurity to be an evil hacker. We must have Black-Cat skills but with a white heart. She referenced a report from Cybersecurity Ventures that estimates 3.5 million cybersecurity jobs will be available in 2021, so students need to be educated in this field to keep up with the growing demand. She encouraged those considering a profession in the industry to ponder three questions: Do you understand risk? How do you protect systems? Do you like to analyze and think outside of the box?